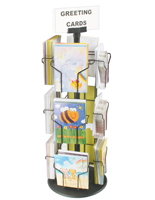 These Countertop Displays have an Open Pocket Design that Allows Onlooks a Full View! 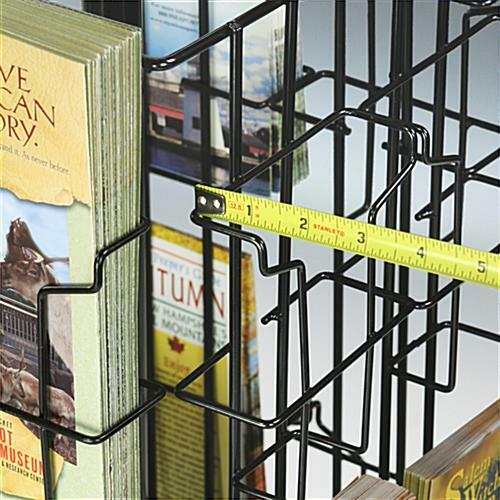 The Durable Wire Assembly is Sure to Withstand Bustling Store Environments! 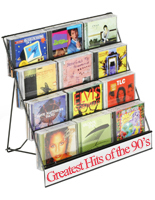 Get Countertop Displays Today from the Most Trust Supplier! 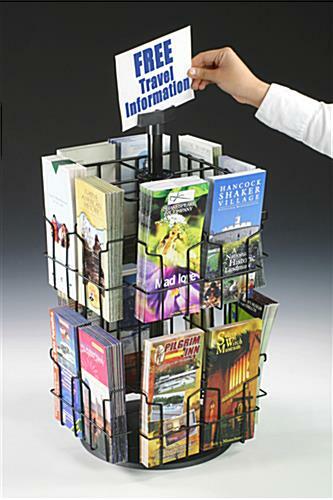 These countertop displays keep brochures neat and organized! 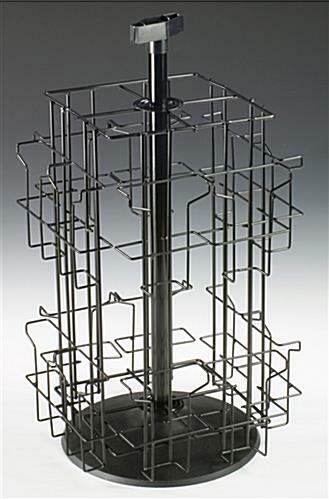 The stands are made from high quality wire that is finished with gloss black. The countertop displays are intended for desktops, as the plastic base of each unit spins freely. 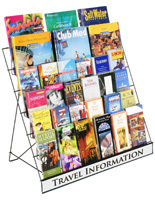 The brochure racks are ideal for counter areas that have very limited space. 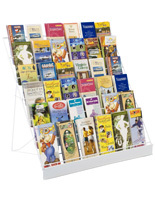 The countertop displays, also called pamphlet stands, feature (16) different pockets. Four pockets are positioned on each side for endless presentation possibilities. 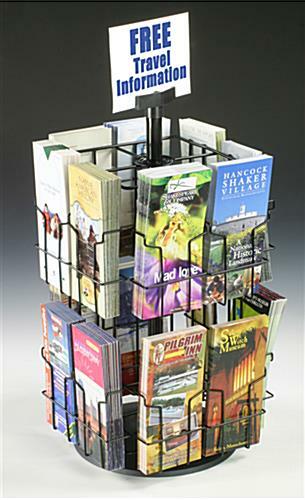 The multi-sided countertop displays are sized to fit 4"w x 9"h brochures. 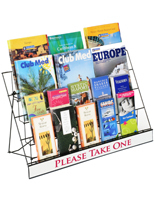 Add one or several units to a hotel, museum, travel agency, or visitor center. 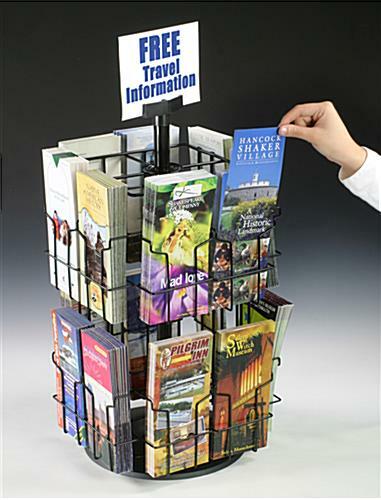 The countertop displays rotate so that customers are able to view brochures and other tri-fold publications from multiple angles. 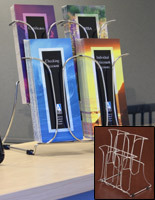 Each system includes a sign clip holder that allows users to draw more attention to the presentation. 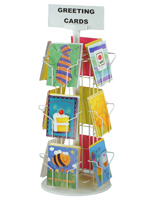 The sign clip holder is perfect for sharing a supplemental message or advertisement. The countertop displays ship knocked down but are set up in only a few minutes. 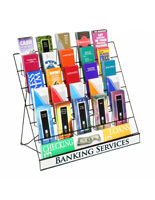 The counter racks add extra visibility to flyers, pamphlets, and brochures! 12.5" x 23.0" x 11.0"
4.1" x 10.0" x 1.3"